When a brand has offered us impressive performance and precision excitement on the roads for many years but have left us without the model we want to enjoy, it becomes a question of when thenext version will arrive. We’ve felt that way for a while with the RX models from Mazda which has left us wondering what the version will be and when we can expect this model to continue to give us more of what we’ve wanted to enjoy out on the track thatcan also be shown off on the roads in our area. As recent as the Frankfurt Motor Show the Mazda team has given us the knowledge that we’ll eventually see the next RX model that will give us the ability to enjoy the dynamic driving experience on the roads we love to drive. The expectation is that we’ll see a new concept model of this car at the Tokyo Motor Show later this month as the RX Vision which we’ve seen in some form or fashion over the past couple of years. This new RX model first made its way to the stage in Tokyo two years ago to give us an idea of what to expect. What makes the RX models from Mazda as interesting as they are? One of the most impressive aspects of the drive we want to enjoy on the road is the fact that the RX models offered from Mazda have been powered by rotary engines. This brand is the only one that still embraces this engine technology to give us what we’re looking for out on the roads that we’re going to want to drive. The newest version of this engine is being called the SkyActiv-R but we know very little about this engine so far. What we do know about the new SkyActiv-R engine is the fact that it will be a model that offers you the drive you’re used to without being a hybrid model. The leaders at Mazda have determined most customers who drive the RX models want to have engines that are rotary and gasoline-powered without the addition of the hybrid technology. When we see the latest model of the RX-Vision model on the stage in Tokyo we’re going to be amazed by the qualities and the design of this amazing car. 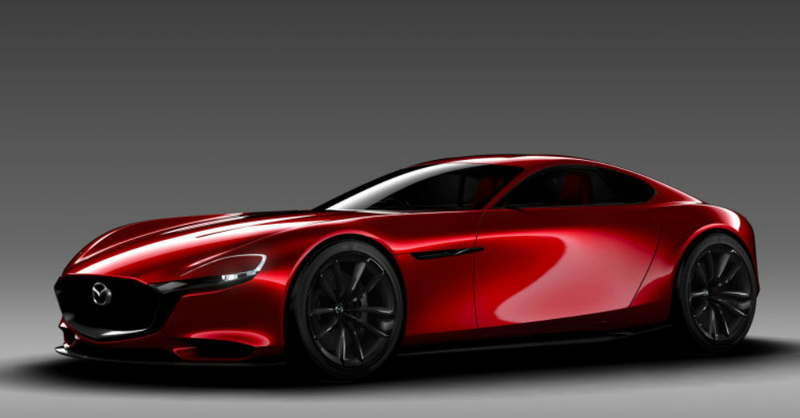 The challenge for the new RX Vision and the SkyActiv-R technology under the hood is what all rotary engines face. We need this engine to have the efficiency, low emissions, and reliability needed to make it possible for this new RX model to be right for us to drive on the road and at the track. Thankfully, Mazda has many years of experience developing the models needed and the rotary engine that many other brands stopped developing long ago. Take a look at what this amazing car can be when it shows up at the Tokyo Motor Show later this month.